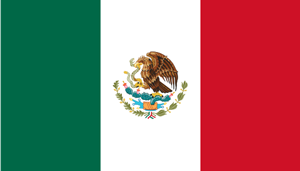 Mexico is known for its Pacific and Gulf of Mexico beaches. Ancient ruins of Aztec and Mayan dynasty are scattered throughout the country. Its diverse landscape, Spanish colonial-era towns, renowned museums, gourmet restaurants and upscale shops are a treat for everyone. So what are you waiting for? Let TCE be in charge of your money matters while you enjoy the diverse experience that Mexico has to offer. The Mexican Peso is the currency of Mexico. Its symbol is $ and code is MXN. The modern Peso and Dollar currencies have a common origin in the 15th-19th-century Spanish dollar. Each Peso is divided into 100 centavos. It is the 8th most traded currency in the world. TCE offers the best exchange rates, unrivaled by any other bank or exchange bureau in Canada. Our online ordering system is reliable and convenient for those who want to save time. You can make an online payment using your Interac debit card and pick up your currency from any of our stores. You can opt for a home delivery as well, which is through Canada post and takes only two business days.